The Brazilian Suprem Court decided to turn racial quotas constitutional in all Brazilian Universities, that will have until 2016 to concede vacancies to black, colored people and “quilombo holdovers”. 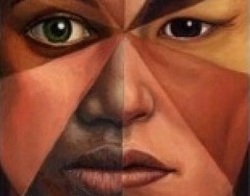 On May 3rd 2012 the Brazilian Supreme Court decided to turn racial quotas constitutional in all Brazilian Universities. Now, all the Universities, both public or private, need to reserve quotas for students from publics schools, or private schools with full scholarship, that have a low family income. About a half percentage of these quotas should be conceded to black, colored people and “quilombo holdovers”. The Universities will have until 2016 to adopt these laws. Prouni was created in 2004 to give an opportunity to poor people to an university degree. Institutions that adopt Prouni have some taxes reductions and, since its creation, this program has already helped 919 thousand students to study at college and improve their knowledge. What have changed with this law is that now the universities must concede a half of its vacancies to the Prouni scholarships, and a half of these vacancies granted to Prouni must be reserved to racial quotas. Additionally, family income can not exceed one and a half salary to get a full scholarship and three salaries to get a partial scholarship. Racial quotas were established because the African people were made slaves for about 300 years in Brazilian history. Until today, Brazil is a country with an unequal society also because of these historical facts, and that is why the government is trying to include more black and brown people in the Universities. It will be a way to repair a big mistake. People who agree with quotas think like that and believe that it is going to help people that are (or were) discriminated to participate more in the society. People who disagree say that this is a way to keep discriminating and that people need to get in a University by their own aptitude and not because of their skin color. The racial quotas are a polemic discussion in Brazil that put people in favor and against. With this constitutionalization our country is walking to a change in the social culture, creating opportunities to people who were “excluded” of society. But, unfortunately, we know that most poor population in Brazil are black and colored people, and that could be explained by history one more time: when the law of freedom set the slaves free, they were by their own, without job, food, houses, and opportunities. The government did nothing to help and, quite the contrary, forgot them and gave jobs to (white) people that immigrated from other countries like Portugal, Germany, Italy, Japan and Spain. So our present is defined by our history. In other words, the number of black and colored people excluded from society was determined by the slave system and the Brazilian government's disregard. The racial quotas are a way to repair this and try to create a more equalitarian society. 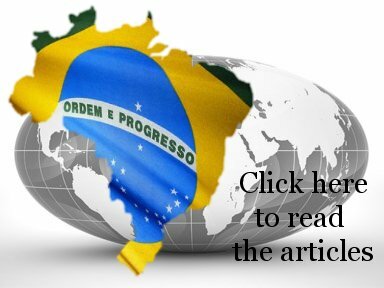 Are you curious to know what's being said about Brazil?